If Saki wasn't Masaomi's girlfriend, who would u have preferred? de keuze van de fan: Saki?! Stupid question. He's already with her! Do u think Masaomi looks like Heiji Hattori from Detective Conan? would u kom bij the yellow scarves? a poll was toegevoegd: Do u think Masaomi looks like Heiji Hattori from Detective Conan? a poll was toegevoegd: If Saki wasn't Masaomi's girlfriend, who would u have preferred? 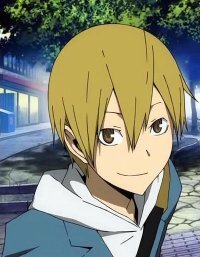 a comment was made to the poll: Is Kida your favoriete in Durarara!! a comment was made to the poll: do u prefer Masaomi with Saki of Anri? Who does the voice for Masaomi in english dub?